Ontario Cottages welcomes you to this site! We offer cottages for rent in Ontario, Canada. Ontario Cottages has been in business since 1997 and have listed hundreds of cottages and vacation properties for rent or sale by owner. Ontario, Canada has become known as cottage country with hundreds of lakes, rivers and streams. Click on the following to LIST, RENT or BUY a Cottage and access those features. The upper right banner is for advertisers, private cottages, resorts or cottage related activities like houseboat rentals. From all of us at Ontario Cottages we hope this site helps you find that perfect vacation property. 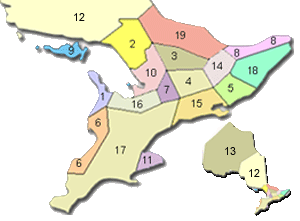 Below you will find our cottage listings, our contact form and a brief review of the nineteen distinct cottage areas that make up the Province of Ontario, Canada. . Your Cottage Ad is a functional Website that only works under under Ontario Cottages and is a subdomain of Ontario Cottages! All cottage ads get the same exposure, no favourites. We do offer a separate banner program at additional costs..
$99 plus HST per year, all inclusive! We create your cottage ad manually so that proper SEO, features, photos and the like are used. We list your cottage ad on multiple websites, like our, The Trent Severn Waterway or Kawartha, to help get you clients. We run search ads on our site to increase site popularity and that helps get your cottage ad found ! We, or you, may NOT run external ads on your cottage ad other then a search feature for Ontario Cottages Ads ONLY! You may view our features at ATQ.biz although the pricing here is better because you are part of the Ontario Cottages Community of Websites. Ontario Cottages' new layout, why? Your cottage ad, here at Ontario Cottages, now resizes itself for all screen sizes, right from phones to monitors. 36% or more are searching for your cottage ad using devices that have screen sizes below 800 pixels. You simply cannot afford to ignore that segment and must address current monitors as well. Your Ontario Cottage ad is designed by hand to ensure you get the best advantage in a very competitive marketplace. The Ontario Cottages address, is that a must? Quite simply, NO! If you have a website name you would rather use the extra annual cost is $25 plus HST. The domain name must point to our servers, ns1.register-today.com and ns2.register-today.com n order for your cottage ad to work. Changes to your Cottage Ad? We make the changes for you. A simple change will be done free of charge. Changes that require more then ten minutes will be charged at a rate of $15 per 15 minutes. This rate will also be charged if simple changes are frequently requested. Banner advertising? We have the banner ads running at the top and they rotate on a six second change. We can only accommodate 6 of those ads to be fair to all and the cots is $750 per year, plus HST. The ads are run on this website and it's pages, not on Ontario Cottage Ad pages, and they also run on Kawartha.com and TheTrentSevernWaterway.com. Each topic from the menu above will be briefly covered on this page and in more depth on the dedicated page. Please give us feedback. Cottages for Rent, today, many cottage owners are renting out their private cottages to offset excessive taxes and levies. If you're looking for a cottage to buy in a specific area what better way to get to know the area, rent first. Cottages for Sale, as markets for real estate change so does ownership of cottages properties. Take a close look there are still bargains to be had. Inns/B&Bs, you're more into traveling around and don't want to waste time finding lodging and restaurants then an Inn or a Bed and Breakfast fill the bill. Houseboats, once you've experienced this kind of vacation if you're like most you're hooked. No traffic yet you have full mobility to visit towns and villages for shopping, dining or simply sightseeing or golfing at lakeside clubs. RV Parks, recreational vehicle campers are a great bunch to get to know. Friendly and outgoing you'll find a new experience at every stop. Marinas, it's always wise to scout out marinas if you plan to travel with your boat in tow or on the water so you can quickly arrange help if you require it. Dining, what's a vacation without dining, well on today's budget at least one fine meal, do your research on the Internet and sit back and relax once started.